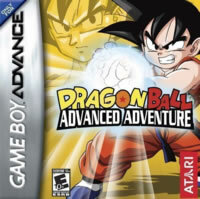 Dragon Ball Advanced Adventure is a passionate kiss on the cheek for fans of the original animated series. The art, animation, and colours are painstakingly recreated in stunningly vibrant detail, and true care has been attempted at every stage to keep the entire game looking authentic. Except for Nam who unfortunately had a bit of a white-washing, and I'm just trying to figure out why that was even necessary. Doesn't bother me; I'm just confused. This has been tainted by the hands of Funimation, but is it enough to be a problem? No way. It means almost everything (besides the aforementioned Nam) matches up with the uncut dubbed episodes, which I have been watching religiously for a few months. Game still looks good despite a few edits. I'll take it. Dragon Ball is the story of young monkey boy Son Goku and his journeys with Bulma Briefs, an unfortunately named young daughter of a famous lecherous scientist. Add in crazy martial arts, talking dinosaurs and enough perversion to keep EscapeRouteBritish here happy, then you've got a series well revered for very good reason. It leads nicely into Dragon Ball Z, the behemoth I'm sure all of you are at least aware of, and inarguably the best animated series of all time. No buts. It just is. Dimps paid great attention to carrying over Dragon Ball's story wholesale. Key scenes are shown in image and text form, and the core conflicts from the show are played in full, up to the last battle between Goku and Piccolo in his "King" form. While it couldn't be used as an alternative to the show (it tends to cut out the flab), it does a very good job of being a close companion to the show and best enjoyed in tandem with watching through. While almost anyone will find it super fun to play, you'd have to be a fan of the series to actually understand what is happening. Magic Son Goku, Magic Son Goku! This is a typical platformer with added combat moves. You can run by double tapping a direction, attack with your magical power pole by mashing B, or utilise your ki to unleash special moves after learning them at key points in the story. Each stage has doors to find, hidden routes, and plenty of baddies to bash. Knocking enemies into next week is satisfying. This is the ideal mix of hopping and smacking. 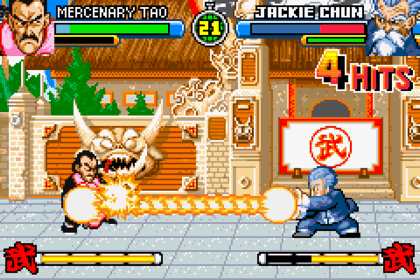 At certain points, the game switches to a more traditional "2D-Fighter" mode, to add extra impact to the core series conflicts. Each one is fun to play and challenging, but not excessively difficult. You will be taxed on each difficulty, but you won't feel like the game is unfairly difficult. Staying true to the series, you can't beat Mercenary Tao until you get the sacred water, which is where knowledge of the show comes in handy. There are also a large number of collectibles to find in all of the stages. After beating the game, character icons may be hidden in levels. Collecting these allows you to play as the character in question. This makes seeking them out worthwhile and great fun in its own right, a welcome addition to a game already brimming with care and respect for its source. 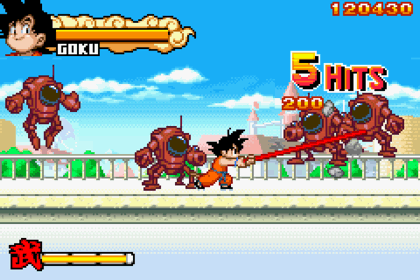 It's safe to say that this is the best game based on the original Dragon Ball series that I have ever played. It stays true to the source, is brimming with secrets and hidden features, and provides hours of enjoyment. Worth anyone's time and attention, but to get the most out of it, you need a decent knowledge of the source material.